The second generation of the Hyundai ix25 compact SUV has been revealed at the 2019 Shanghai Auto Show. 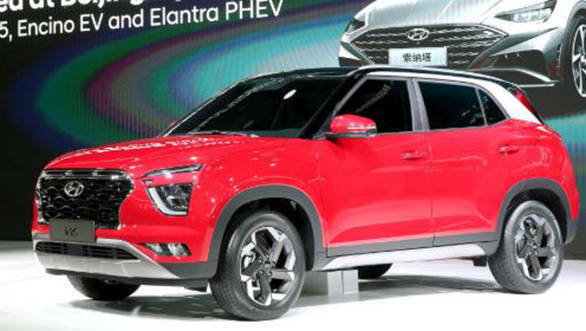 The ix25 is the Creta equivalent compact SUV in Hyundai's offering for China. That said, the new ix25 could land in India as the second generation Hyundai Creta. The second generation Creta adopts the family design seen on the Hyundai Palisade SUV. The cascading chrome grille catches the eye, thin sharp LED DRLs along with vertical projector headlamp make the SUV's fascia resemble the family design. The skid plate has been redesigned and the fog lamps are horizontally stacked as opposed to the vertical ones on the current Creta. The side silhouette hasn't changed much, however, the wheel arches and fenders are squared and are more pronounced. The alloy wheels seem to be the same diamond cut, but this time around, Hyundai has redesigned it for the new compact SUV. The inside is expected to be totally revamped along with additional features. Ventilated front row seats that are offered in the Hyundai Verna could also feature in the upcoming Hyundai Creta. Hyundai's Blue Link connectivity solution could find its way in the new Creta. 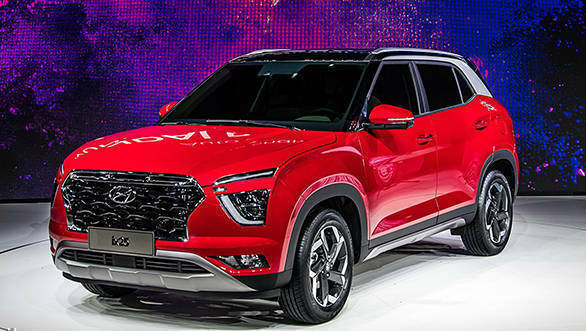 Along with the new platform, we believe that Hyundai will debut the SUV in the Indian market with a new downsized petrol engine that will be BSVI compliant. For the diesel optants, Hyundai could retune the current 1.6-litre turbo diesel engine to make it BSVI compliant. The engines will be mated to five/six speed manual or an optional automatic transmission. However, with the downsized engine, there is a possibility of a new dual clutch transmission to be on offer. 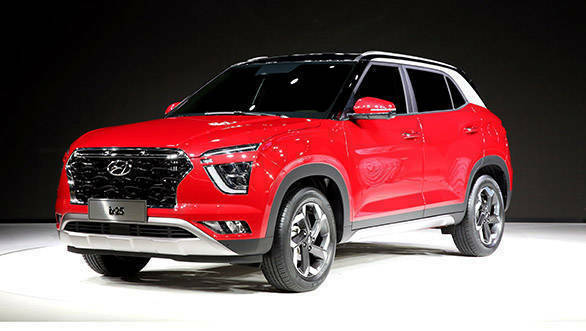 The upcoming Hyundai Creta could see a price hike of Rs 70,000 to Rs 90,000 over the ex-showroom cost of the outgoing model. That said, the new Creta will rival the Nissan Kicks, Renault Captur, Tata Harrier and the Jeep Compass.